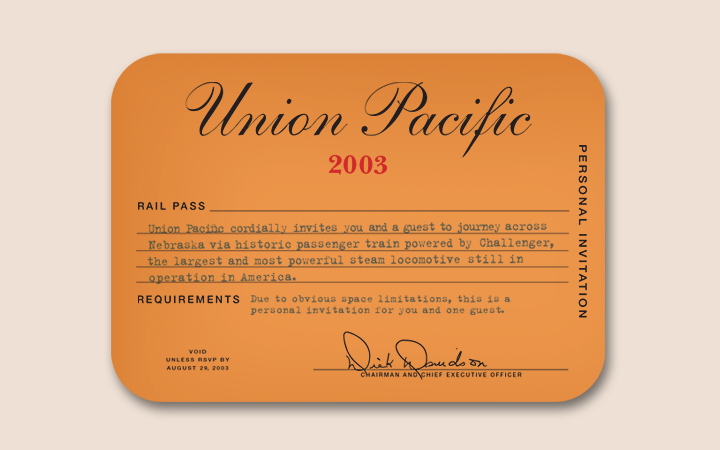 An invitation to celebrate Union Pacific's fully restored heritage fleet. 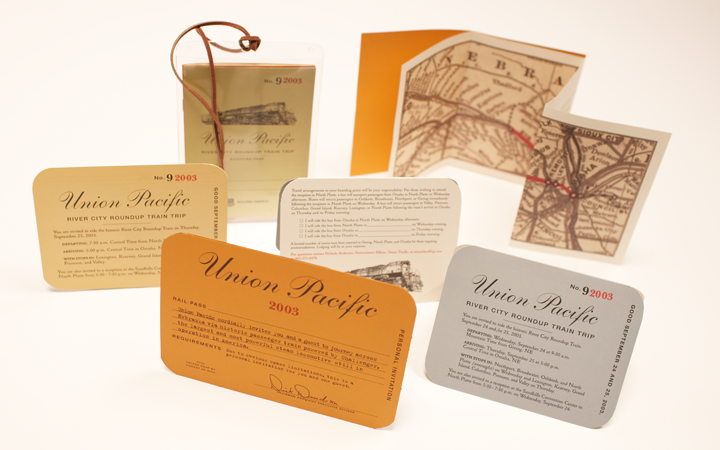 Union Pacific celebrates its fully restored Fleet. 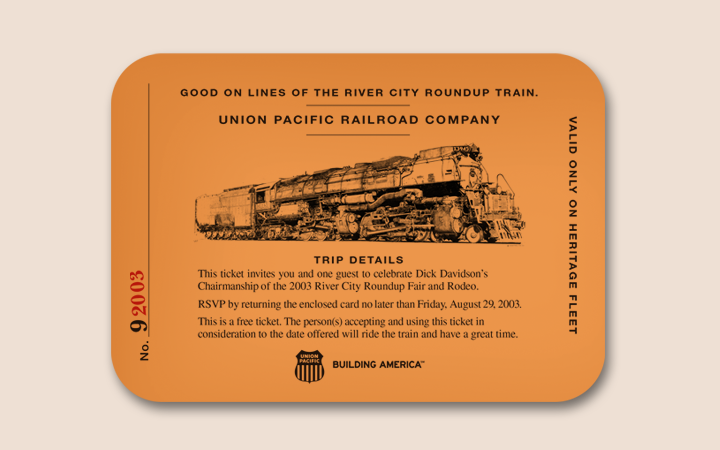 In honor of completing the restoration of a fleet of historic train cars, Union Pacific celebrated by offering rides to employees and special guests during Omaha’s River City Roundup annual event. UP also opened the trains to the public for viewing during their stay at the Durham Heritage Museum. This rarely happens. 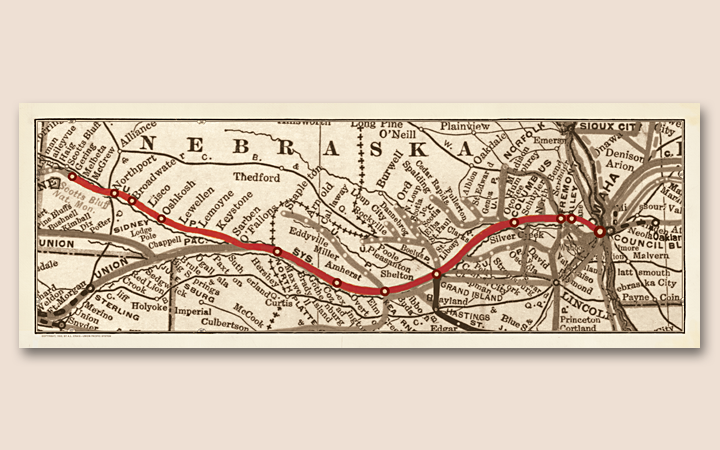 This was a complicated event with many different planned trips, destinations and groups of riders. We needed to invite guests, inform them about the trips, organize the process and unify the entire event—while honoring the history of the fleet and celebrating this once-in-a-lifetime event. 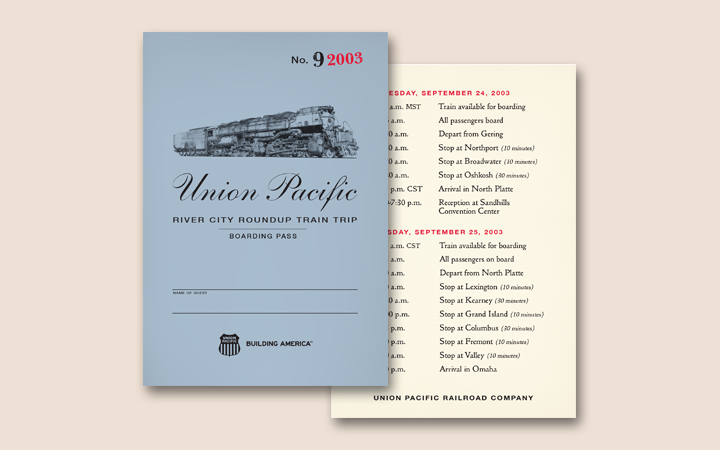 The concept for the event materials was inspired by the history of Union Pacific’s passenger trains. 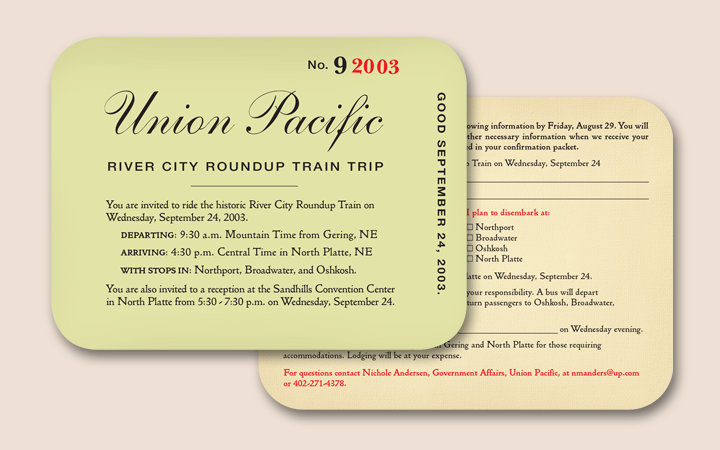 Invitations were created that were reminiscent of historical tickets. 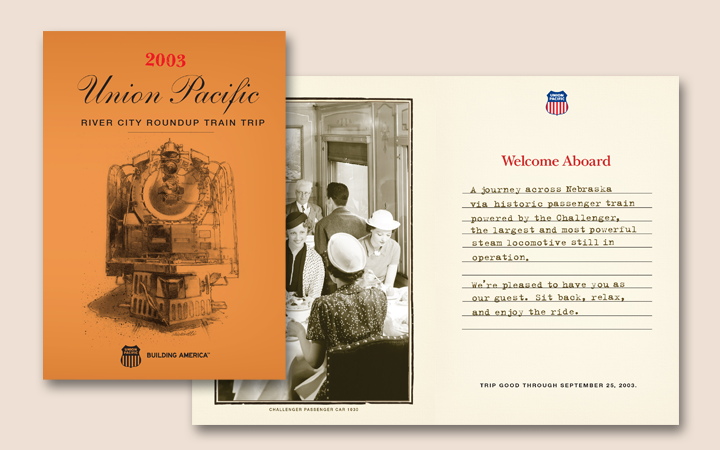 A small take-away book held important safety procedures and fun facts about the passenger railroad. The trip had three different legs, so we developed a color system to differentiate between the trips. All the elements were contained with a leather lanyard and sleeve making schedules and boarding passes easily accessible.